Commercial Contracts - Laceys Solicitors Laceys is a leading, forward-thinking law firm with specialist experts serving both individual and business clients across a broad spectrum of practice areas. Laceys Solicitors Laceys is a leading, forward-thinking law firm with specialist experts serving both individual and business clients across a broad spectrum of practice areas. Many businesses overlook the importance of the contracts that they enter into, or ask their customers, subcontractors and partners to sign. 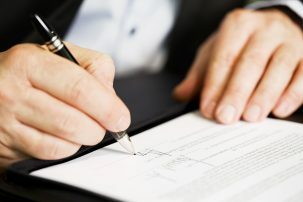 If you do not enter into written agreements however, or they are not correctly drafted, then the impact on your organisation can be catastrophic. Important commercial relationships should always be governed by comprehensive, clearly worded terms to ensure that you can manage the rights and obligations of each party. These contracts should be tailored to help ensure they work in practice and then reviewed on a regular basis so that they continue to meet the needs of the parties. Laceys is able to draft, review and negotiate your commercial contracts to ensure that they protect you and are acceptable from a commercial perspective. We take the time to understand your business and the background behind the contract beforehand so that our advice is both legally correct and meets your commercial requirements. We cover a wide range of contracts for all sectors of business, from terms and conditions of supply and sale, distribution agreements and subcontractors’ agreements through to IT contracts and consumer terms and conditions. We are able to ensure that these comply with applicable regulatory and contractual laws and regulations. We work hard to ensure that our advice is comprehensive, practical and commercial in order that you are able to understand not only the terms of your commercial contracts, but the implications of agreeing to them. We can then advise you of your rights and options throughout your contractual relationship, for example your ability to change suppliers or cancel a contract with a customer. For any further advice on commercial contracts please contact one of our team today to see how we can help. Luke works in both the Commercial and Media and Technology departments. For Commercial work, Luke advises individuals and companies on their contracts from Terms and Conditions and Privacy Policies to Distribution and Manufacturing Agreements. Luke specialises in advising Start-ups and entrepreneurs and helping them to succeed in launching their businesses and building their brands. For Media and Technology Luke advises companies or individuals for a variety of media contracts including; Management Agreements, Producer Agreements, Record Label Agreements, Publishing Agreements, Distribution Agreements, Performance Release Forms, Acting Agreements, Director Agreements, Film/Still/Music Clearances, Writer Agreements. Luke loves meeting new clients in the creative industry and helping them to protect their projects. Away from work Luke DJ’s (he has a vast music collection of vinyl, CD’s and MP3’s) so loves to host a good house party! He also loves live music so whether in the south coast or in London he can be found at live gigs supporting his clients. You can find out more about Luke here, from an interview he did with the Big Music Project. Just Banter! I can post what I want on Facebook and Twitter can’t I? 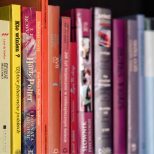 Not sure how to publish your book? This guide will hopefully help. Can I change the terms of a written contract by way of a verbal agreement?